There was about 15 people out on the ice when we arrived. Action was slow in the early morning, but picked up as it got later. 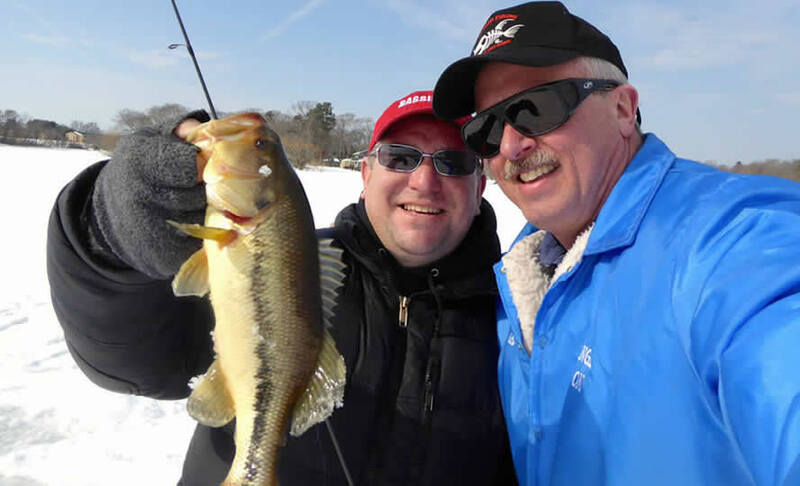 Several Crappie, Pickerel, Bluegills, Perch and even some Bass were caught. Some guys set up “tip-ups” rigged with live bait while they jigged. We met a lot of nice folks out on the ice. Everyone was friendly, courteous and just out there to have a good time. 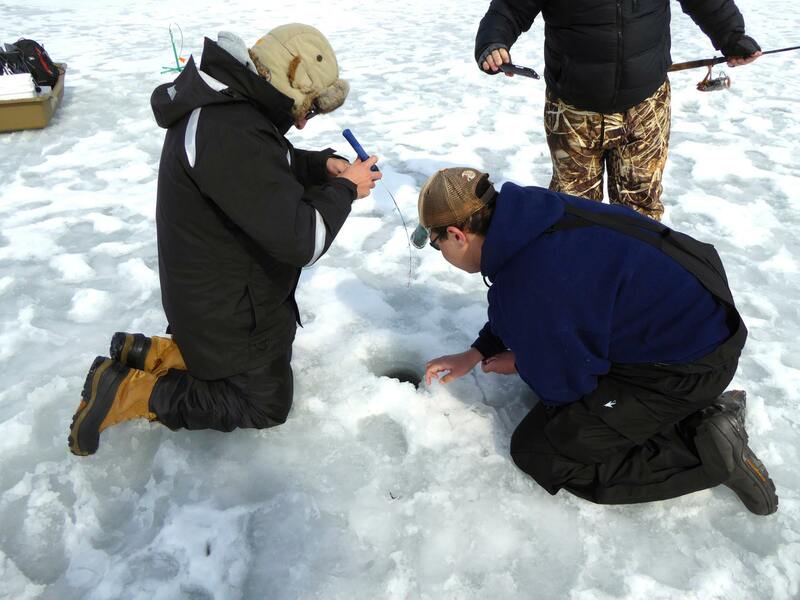 If you’re thinking about giving ice fishing a try, there’s still a lot you need to know before you set foot on the ice. 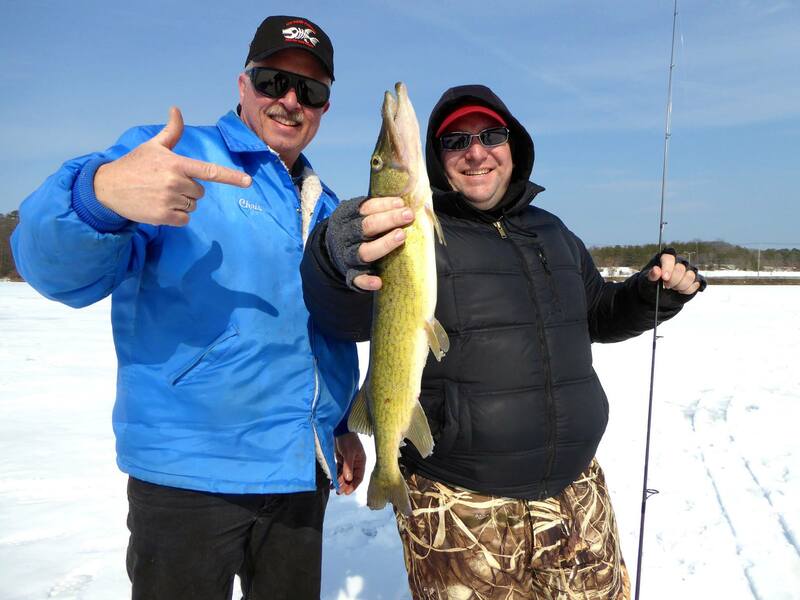 I would always recommend you go with at least one other person and preferably someone with ice fishing experience. Be prepared, dress warm and be sure to carry some safety equipment. A good general rule is 4” or more of newly formed ice is safe for one adult to stand on, but there are other things to consider. Not all areas will have the same ice thickness. Here’s a couple of resources that can help you. As daytime temperatures begin reaching the 70’s and 80’s, the surface water temps also begin to rise. As any “bass minded angler” can tell you, it won’t be long until those green creatures of the deep begin their annual migration to the shallows to spawn (lay eggs). It is during this time that most of us dust off our gear and head to our favorite lake. 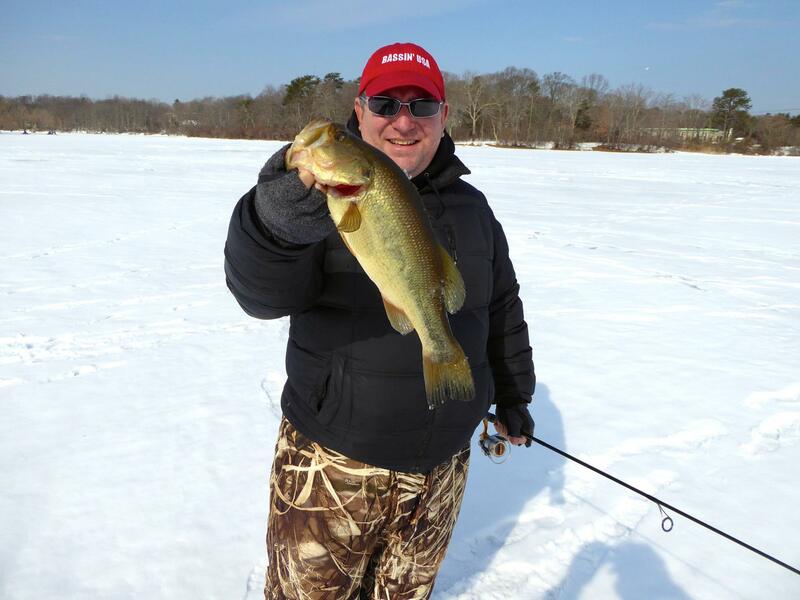 When bass are shallow, they are the easiest to catch. Everyone thinks “a bass is a bass no matter where you go“; Lake Fisherman will say that bass relate to the same cover and that bass move the same way on any body of water. Well, myself, and a lot of river rats know that’s not true!! Rivers add a different mix of situations to deal with, current and water fluctuations are two of the major issues to contend with on river systems. In the spring it’s the most crucial piece. Lake Chickamauga cranks out a new TN State Record?